Consulting Engineers of Ontario (CEO) hosted the 16th annual Ontario Consulting Engineering Awards (OCEA) Gala at Copper Creek Golf Club in Kleinburg, Ont. recently, presenting 11 awards to consulting engineering firms whose projects were considered to have improved the quality of life to the world around them. McIntosh Perry Consulting Engineers Ltd. took home the highest award, the Willis Chipman, for their Industrial & Mine Area Clean-Up, Phase 3: Deloro Mine Site project. This project was selected for the transformation of a contaminated site into an everlasting green space. The Ontario Ministry of the Environment and Climate Change enlisted McIntosh Perry to provide project management, design, contract administration and inspection services. Awards of Excellence were presented to AECOM, C.C. Tatham & Associates Ltd., MTE Consultants and Robinson Consultants Inc. 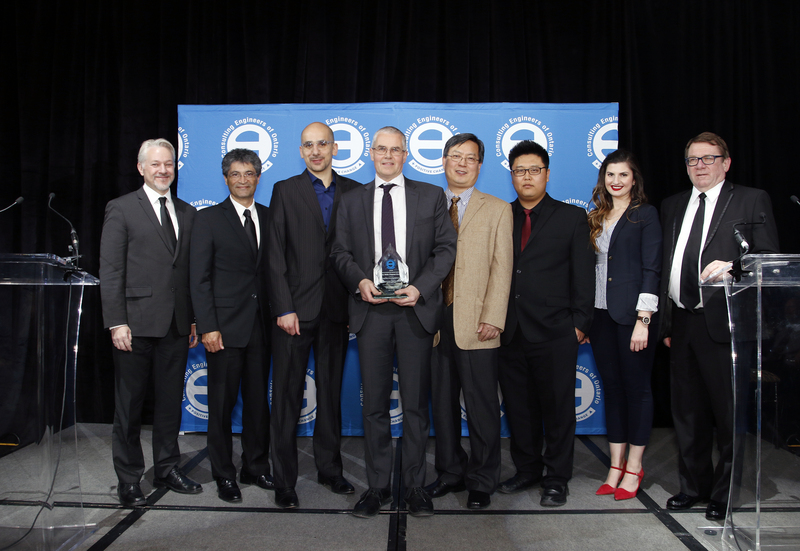 Awards of Merit were given to DST Consulting Engineers Inc., Eramosa Engineering Inc., Hatch, HDR Inc., R.V. Anderson Associates Limited and WSP Canada Inc. The independent panel of judges consisted of Bob Doney, Ken Browne, John Dawson, Stephen Panciuk, Lola Hidalgo and John Thompson, who volunteered their time and expertise to evaluate all 39 submissions.